Volunteers from Lough Ree RNLI launched during Storm Diana as one person required emergency assistance near St. Johns Wood. 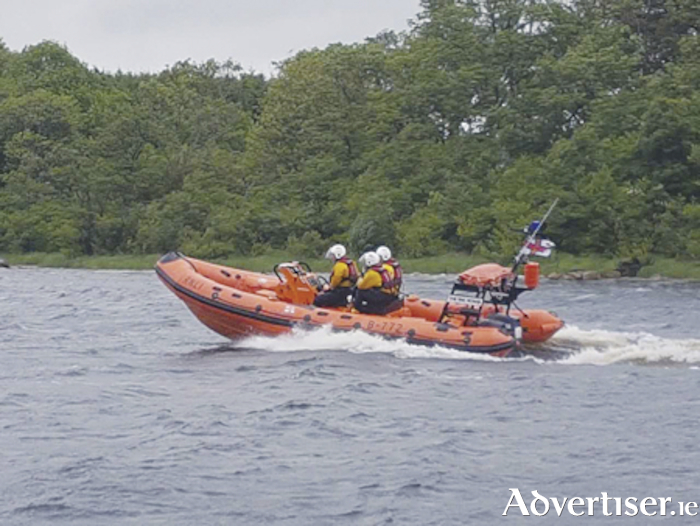 Lough Ree RNLI volunteers were contacted by a gentleman who had sought refuge due to failing light at the floating jetty, off the shore of St. John’s Wood on the Roscommon side of Lough Ree. Due to worsening conditions, he requested our assistance. The inshore Lifeboat, the ‘Eric Rowse’ was launched and the crew made their way to the scene. Conditions on the lake were extremely rough with Storm Diana in full strength. Winds were storm force eight from the south with two metre waves, making for a very bumpy trip up the lake. Upon arrival on scene, the crew found the casualty to be uninjured, wearing his lifejacket and wet weather clothing and in good spirits. Having ensured the casualty vessel was well secured, the gentleman was brought onto the ‘Eric Rowse’ and brought back to the station in Coosan Point. Speaking after the call out volunteer Lifeboat Helm, Tom Bradbury noted, “conditions can change on the lake very quickly, especially at this time of year. This gentleman did exactly as we advise, when light started failing last night he sought a suitable mooring for the night and when he awoke to worsening conditions this morning he requested assistance. We would always advise people using the lake to check the weather forecast before heading out on the water and to always wear a lifejacket”.